The United States has it all, from picturesque beaches to majestic mountains, world-famous attractions and epic food. America is packed with cities to explore but these are some of the best, with a combination of glittering nightlife, towering architecture and rich culture. Whether you’re visiting for the casinos, the shows or the incredible hotels, Las Vegas is a hedonistic city that everyone should visit at least once in their life. It’s unlike anywhere else, with great food, endless excitement and fantastic shopping. While this city is synonymous with gambling, so get used to gambling with a free bet at Timeform before heading off. Vegas is also home to decadent nightclubs and eye-grabbing architecture. It’s a truly surreal landscape that delivers complete sensory overload. Home of Hollywood, A-list celebrities and sun-kissed beaches, Los Angeles is the most famous city in California. 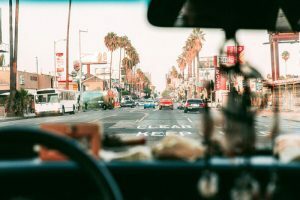 Whether you’re dining at a Michelin-starred restaurant, walking along Venice Beach or dipping into high-end stores on Rodeo Drive, this is the city to enjoy the high life and live out your dream of being a celebrity. If you’re going to visit the US, there’s one city you simply have to see and that’s the Big Apple. Branded the city that never sleeps, New York has some of the best attractions and entertainment in all of America. But it also boasts plenty of culture too, from the Metropolitan Museum of Art to Broadway, and an overwhelming choice of restaurants, cafés and bars. When you think of America, you think of New York and it certainly lives up to the hype. The greatest city in the Midwest, Chicago is a beautiful destination where you can be inspired by great art, revel in the natural beauty of Lake Michigan, dine on oozing deep-dish pizzas and wander along streets of towering skyscrapers. It’s a cultural gem too, with jazz clubs, theatre joints and great shopping along Michigan Avenue, making it a world-class city break location. New Orleans is a city that often gets overlooked for the brasher locations, but it has a rich culture that is well-worth exploring. Stroll through the French Quarter in search of the best late-night jazz bars, followed by pillowy beignets in the morning. This is a destination that really makes an impression. Once you’ve visited New Orleans, you’ll want to return time and time again. Boston is one of the oldest cities in America and is steeped in history. That’s not to say that it’s just about the past though – it’s also a university city that has its share of modernism as well. From the charming neighbourhoods and the beautiful Boston Common to the museums and galleries, Boston is a wonderful destination that has plenty of stories to tell. Miami is a popular destination for travellers looking for sun, beaches and nightlife. It has all three in abundance. This party city draws in big crowds during its summer months in particular, but it also has delightful Art Deco architecture and a Latin-inspired atmosphere that set it apart from your usual beach holiday.